The foundation of all fine arts is drawing, according to art historian and Florentine painter Giorgio Vasari. In Italy, the Early Renaissance (from 1400 to 1490), High Renaissance (from 1490-1530) and Mannerism (from 1520-1600) were the periods when the finest drawings in art history were produced. There were ongoing intellectual debates in Florence late in the 15th century up to the middle of the 16th century, with the discussion centered on which was the more superior art form – painting or sculpture. It was Vasari that delivered the ultimate consensus, which was that drawing or disegno was the two art disciplines’ foundation. It was because design and drawing are both translations of disegno, transferring the artist’s design idea on paper. From among an artist’s drawing media, charcoal is one of the oldest. It is still commonly used today, either in compressed powder or stick forms. There are many fantastic modern artists that are using charcoal as their medium to create great works of art with startling contrasts, just like chiaroscuro. Some very talented artists have created amazing portraits in charcoal that look so much better than photographs. The charcoal used by artists is not ordinary charcoal like the ones used for cooking or the residue of burnt wood. In a sense it is, but for art, it is mostly made from linden wood or willow twigs. The wood undergoes a slow-burning process to turn it into carbon. Very thick sticks are used by scene painters while for detailed drawings, thin and medium sticks are used. Japanese sumi-e artists mainly use bamboo charcoal. In Japanese, sumi-e is the literal meaning of charcoal drawing. The cave paintings found in the Niaux cave in France was the first ever recorded use of charcoal as an artistic medium. The priceless prehistoric charcoal drawings show very clear details of ibex, bison and horses and assumed to have been done some 12,000 years ago, during the Magdalenian period of the Upper Paleolithic Age in Western Europe. During the Renaissance, charcoal and pen and ink were commonly used when preparatory drawings were created. 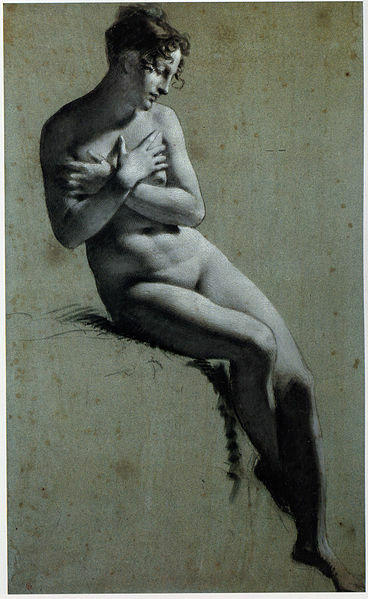 Because of its tendency to smudge, charcoal was not used as a legitimate medium, but mostly to outline the preliminary sketches, which can be painted over. It was only in the 20th century that it became commonly used as an art medium on its own. Albrecht Dürer was one of the prominent artists that regularly drew in charcoal and his portraits using the medium were one of the finest. 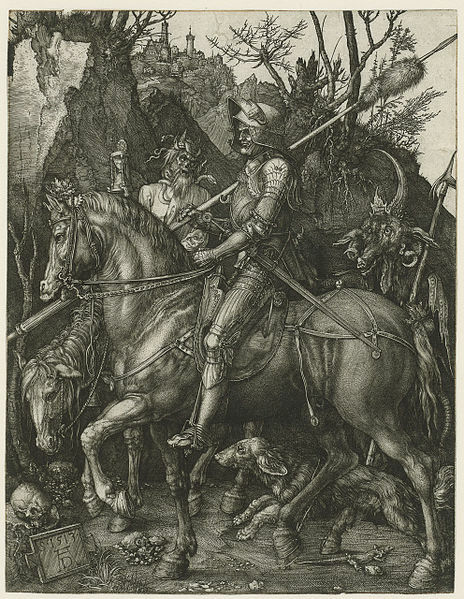 Dürer though was more popularly known for his wood cuts and ink drawings. The Knight, Death, And The Devil is one of his very fine works in charcoal. Picasso and Matisse also had some works done in charcoal in the 20th century. Charcoal is a medium that many painters often used to make outlines of their drawings on canvas before they add color. The material can be overpainted without changing the color of the pigment. French Impressionist painter Edgar Degas normally used this technique for his drawings that were later overlaid with soft pastels in several layers. One of the best examples of this is his drawing entitled, Blue Dancers (1899). With his technique, editing of the drawing could easily be done using soft doughy bread, putty rubber, brush or a feather. Charcoal is very versatile. It can be used to create strong or soft lines and can produce true black compared to graphite. It comes in hard, medium and soft consistency. It can be erased easily and can be smudged across the paper to create different shading, texture and tonal areas. But it needs to be sprayed with fixative to make the drawing permanent. Several Renaissance artists have used charcoal for their full-scale preparatory sketches for fresco or panel mural paintings. Holes were pricked on the paper and charcoal dust was used to transfer the drawing to the support. Michelangelo Buonarroti, one of the Old Masters drew using pen and ink, black and red chalks and charcoal. His Study of a Man Shouting, which is found at the Gallerie degli Uffizi in Florence was drawn with charcoal but it was Albrecht Dürer of Germany that made charcoal drawings highly popular. Rembrandt, Degas, Matisse, Picasso are just some of the Renaissance artists that have used charcoal in the course of their work. Notable are Edgar Degas’s Woman Bathing in Shallow Tub (1885), Portrait of Sergei I Shchuki (1912) by Henri Matisse, and Note in Pink and Brown Charcoal by James McNeil Whistler, which was done around 1880. Ernst Barlach, Georgia O’Keeffe and Leonardo da Vinci have stunning works in charcoal. Today, great realistic portraits and vivid surreal images are created by artists such as Kate Sammons, David Kassan, Seth Fitts and Joel Colo.